Panchatheertha is a non profit devotional organization driven by volunteers under the inspiration of sree Jayachandra Raj. Sree Jayachandra Raj is a noted economist, possesses 6 post graduate degrees in field of economics and also a profound astrologer. He is one of the very few astrologers living in todays world who has the capability to deep dive into the depths of astrology, never found before. Sree Jayachandra Raj has published 2215 papers in the field of economics to this date. 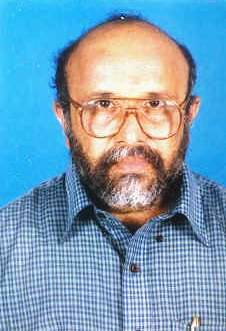 His research paper on economics of two wheeler bike tax in Kerala was presented in the legislative assembly was accepted for implementation in July 1994. Conducted more than 800 economic surveys related to research and work. Was involved revenue re-organization of the state and co-authored books low cost economics of housing. Based on his research article in “vijnayna kairlai” – A financial analysis on wastage of human capital resources, Kerala High court changed its ruling and increased UPSC age bar to 28. Technical co-ordinator for computerization of local village office of Kottayam district. These efforts lead to the overall computerization of these offices across the state.